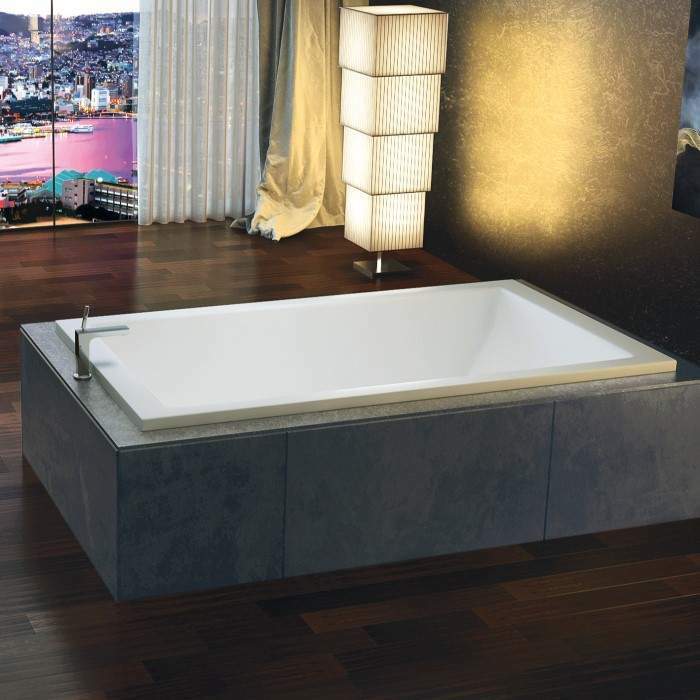 Perfect for a small bathroom, the Wright 6030 offers a standard sized bathtub. 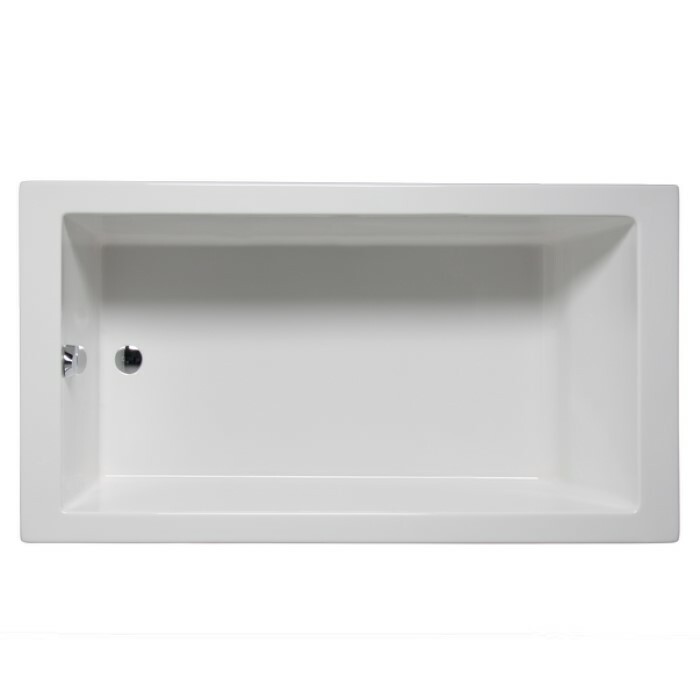 A modern rectangle tub with a boxy shape and end drain. Drop-in, undermount or add optional tile flange and apron (front skirt) for alcove applications. Alcove style bathtubs work well in tub & shower combinations. 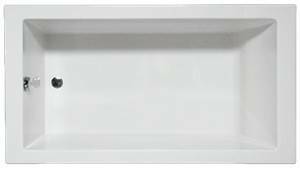 Acrylic construction provides a non-porous surface for easy cleaning and sanitizing. And, the acrylic will never fade or lose its brilliance over time. Choose from a Soaking Tub, Heated Soaking, Vibro Massage, Air Bath (2 styles), Whirlpool (3 Styles) or Combo Whirlpool-Air Bath (6 Styles). Size: 60" x 30" x 22"
Depth to Overflow: 15 7/8"